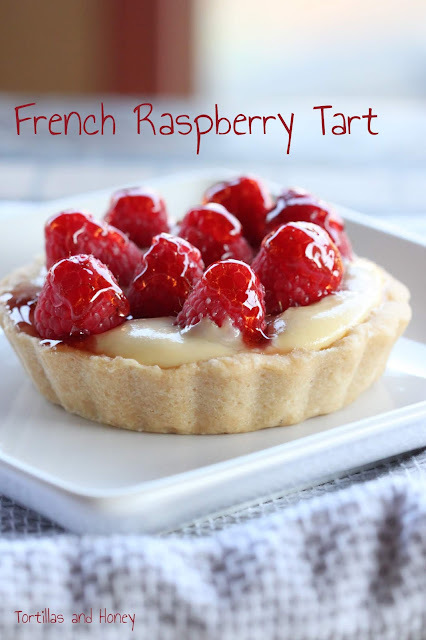 Welcome to our finale of Fresh Tasty Valentines! Over this past week, over 20 bloggers have gotten together and created recipes from products provided by our generous sponsors! These sponsors are also being amazing and providing so many great prizes for our giveaway, which you can see and enter below! For the finale of a great week full of flavor, I decided to make dessert. I know it's not really a healthy recipe, but it's got a whole apple per serving. And what's that saying about an apple a day? ;-) These apples were provided to me by Envy Apples. These apples originated in New Zealand, but have eventually been planted and cultivated here in the United States up in Washington State. So, yes. Apple Dumplings. These are not your average apple dumplings. These apple dumplings are actually inspired by a version of a former co-worker's husband's secret recipe, and I've always wanted to recreate a version of it. I was going through my Grandma Betty's old Betty Crocker's Picture Cook Book that my mom gave me, and I found a recipe that sounded exactly like his version-- down to pouring heavy cream over the finished apples! Needless to say, I was thrilled to find this recipe and was excited to use the apples I received from Envy Apples. This recipe is fairly simple to make, but it does take a fair amount of time-- you make the dough, prepare the syrup, peel and core the apples, cut the pastry and make the dumplings, then baking the dish. The hardest part of preparing these dumplings, for me, was to roll out, cut, and wrap the dumplings. I'm pretty inpatient and don't have a steady or decorative hand, so my dumplings took me a couple of tries to get them presentable. A couple of the tips that I will give you on making this recipe is 1) to make sure that the dough isn't rolled out too thin because the dough is more likely to rip and/or fall apart and 2) to make sure that you grease the dish really well because the dumplings will stick to the pan. This dish is a cute dish to serve up and I love the individual portions. Make sure that you pour extra syrup on top-- it's almost like an apple pie! I hope that you've enjoyed all of the dishes that all the bloggers and I have shared with you this week! Now, there's one more day left to enter the giveaway and Envy Apples has contributed a great prize! This prize package will include Envy apples, an apple corer, and more! Please see the entry form below to enter to win the giveaway and to also enter to win one of the numerous other prized provided by our generous sponsors! To find out more about Envy Apples, please visit their website or social networks (Twitter, Facebook, Pinterest, Instagram)! This post was sponsored by Envy Apples. While I was provided free product, I was not compensated for this post and, as always, the opinions of this post are all my own. Bring all syrup ingredients together in a saucepan, bring to a boil, and boil for 3 minutes. Set aside to cool. Preheat the oven to 425 F. Grease a 9x13 pan really well. Roll out the pie crust into 6 7-inch squares. Place an apple on each square of the pastry. Fill the core cavity with the sugar and cinnamon filling mixture. Dot each top of the apple cavity with butter. Bring opposite points of the pastry up over the apple. Overlap, moisten, and seal. Place in a 9x13 baking dish. Pour hot syrup around the dumplings. Bake immediately until crust is nicely browned and apples are cooked through (test with a fork). Serve warm with the syrup and heavy cream. Oh, yum! I'm a big fan of anything baked involving apples, so these look amazing. I adore apple dumplings! Great share! These are so inspiring! I've never made apple dumplings and yours make me ask "why not?" Thanks for sharing! 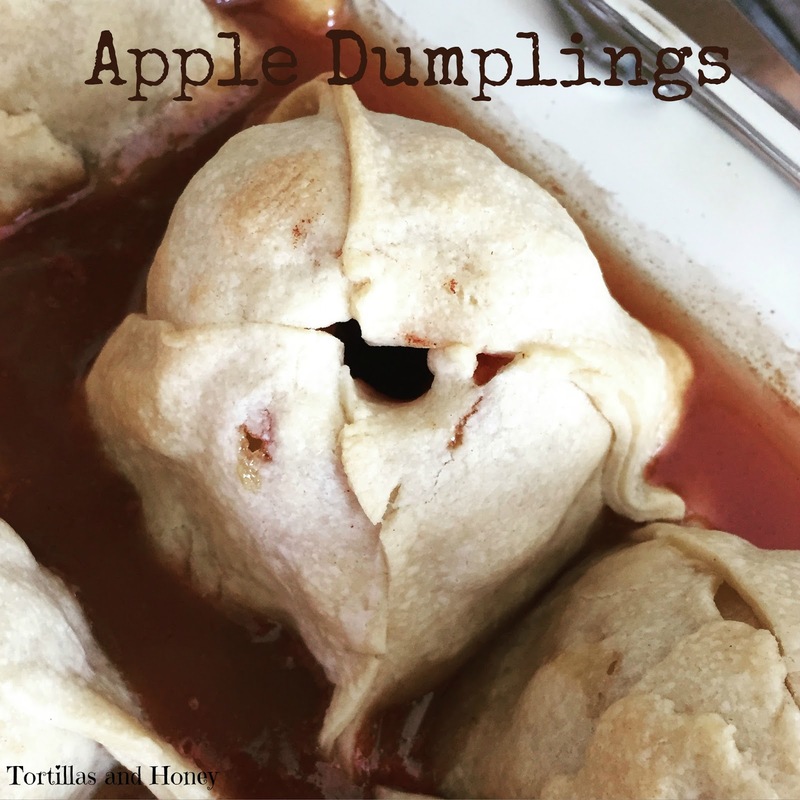 I've never had an apple dumpling but they sound great!